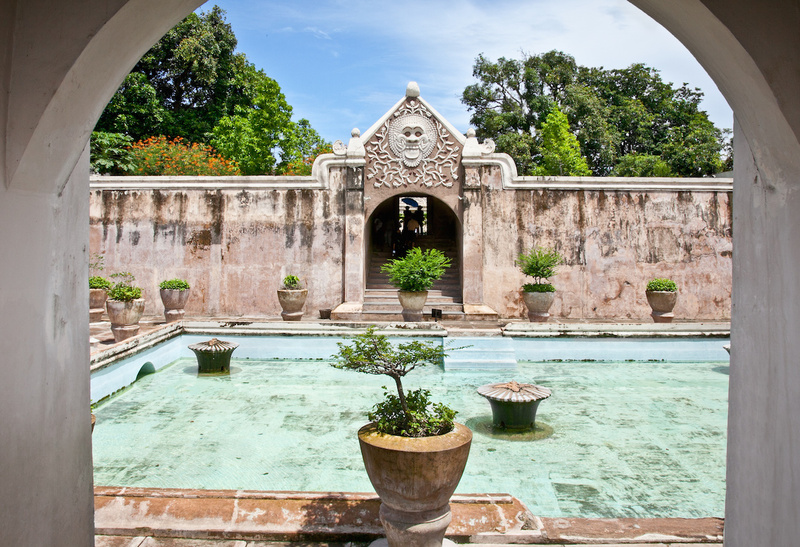 The royal palace of Yogyakarta, Indonesia is where the current and past sultans of the city have lived. 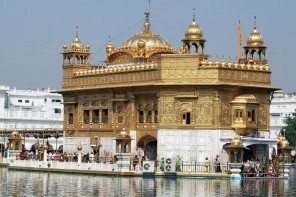 It displays beautiful examples of local architecture, culture and art. During a stroll around the grounds look out for free music and dance shows that are worth to have a seat and enjoy. Make sure to arrive early as the palace closes at 1pm daily except for Friday when it closes at 11am. The Sultan and family do need to enjoy their grand home. Built as a ‘pleasure garden’ for the first sultan, this complex dates back to 1765 and is now partly ruined. It is said that the sultan used to look over the ladies bathing in the pool from the nearby tower from where he could then take his pick. Take the time to explore the underground tunnels that includes an underground mosque. The centre of Yogyakarta’s action, this street is jam packed with stalls selling pretty much every kind of trinket and souvenir imaginable. 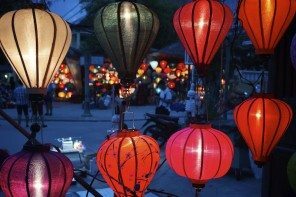 Browse batik shops, local department stores and the sidewalk lined stalls that sell different kinds of wood and leather pieces. 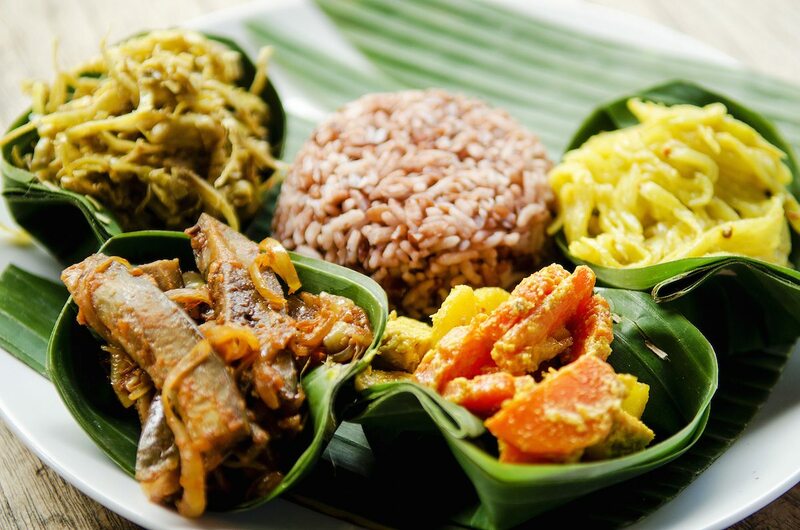 Arrive early in the morning for a selection of food stalls in front of Mall Malioboro. Kota Gede is the capital of ancient Islamic Mataram kingdom and is where the tomb of the Mataram Kingdom’s first king, Panembahan Senopati. Here the old world is still the way of life. 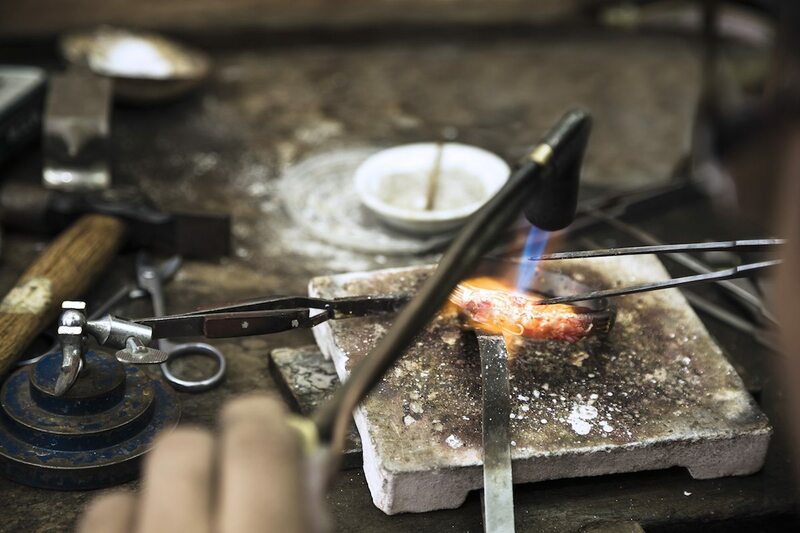 Visit the seemingly endless amount of silver shops with many having workshops where you can see the craftsman creating jewellery by hand. One of the larger and more popular shops to visit is HS Silver. 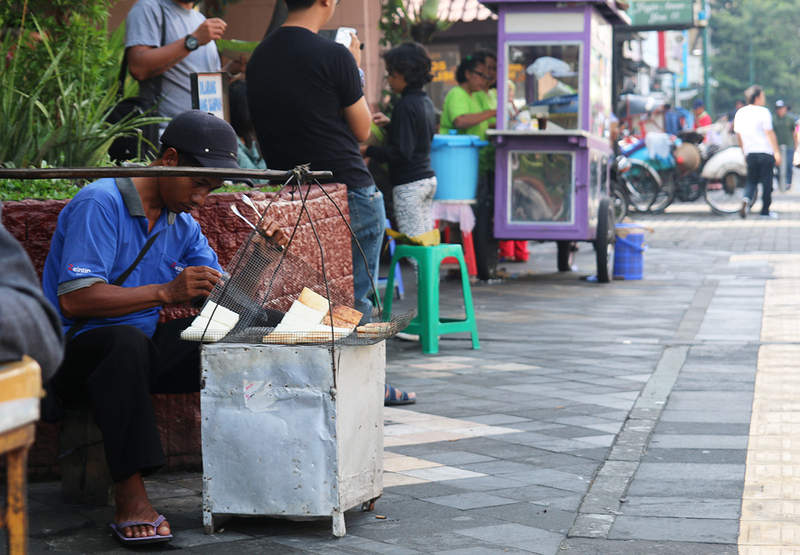 The centre of Yogyakarta’s budget hotels district, Jalan Prawirotaman also has many great cafes to visit. It’s a cool area to hangout street side with a drink in hand and watch the world go by. A popular spot to check out is Via Via. 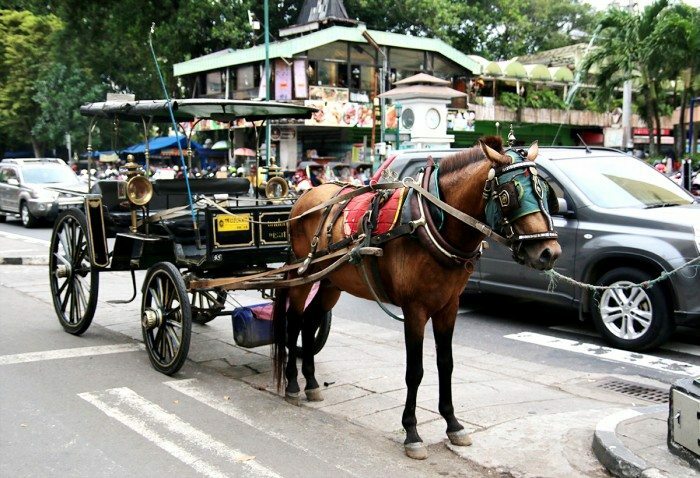 Yogyakarta is one of the few cities left in Indonesia where bechas (bike taxis) and andongs (horse pulled carts) are a common form of transport by the local residents, not just a novelty for tourists. 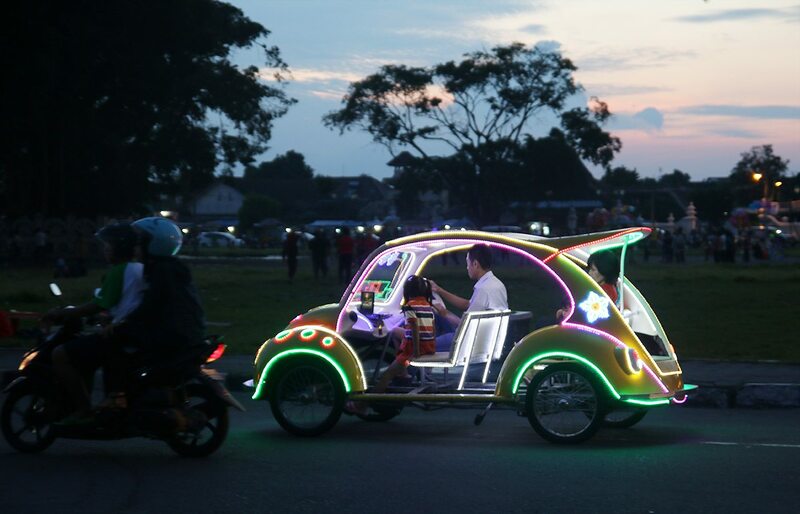 When in Yogyakarta, enjoy these more environmentally friendly modes of transport between Malioboro and Kraton Palace as well as other places in the city. 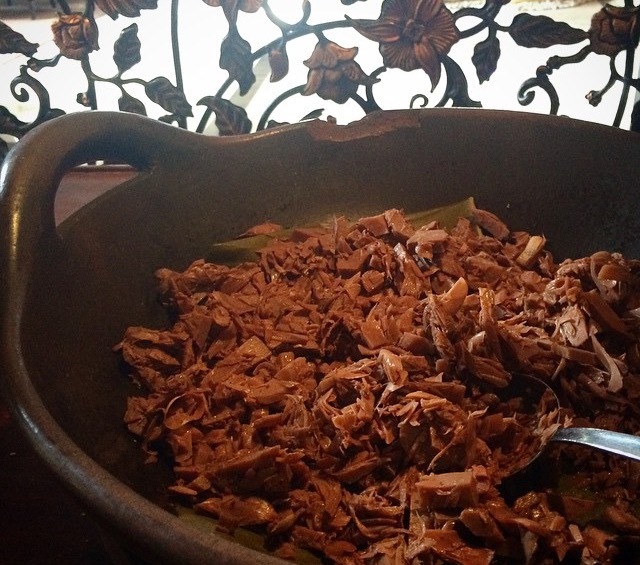 Every city seems to have a dish it’s known for and Gudeg is Yogyakarta’s. A curry of jackfruit, chicken and egg served with rice. Western palates might not find it the most appealing, but it’s worth a try, especially since it’s very likely to be found at most breakfast buffet lines in the city’s hotels. This square next to the royal palace comes alive at night with brightly lit pedal cars doing laps of the square. Filled with mostly Indonesian tourists, it’s like a car disco with music blasting from the cars. 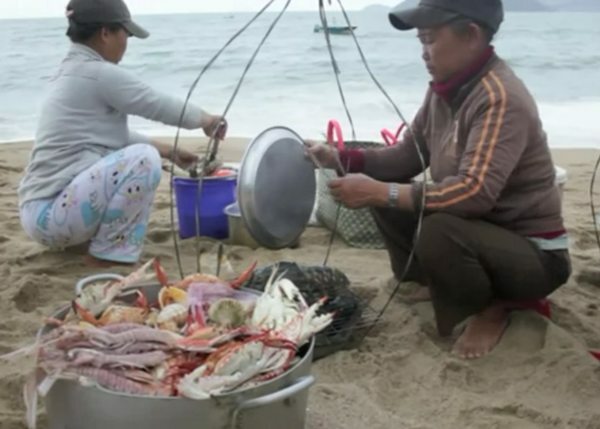 Grab some food from one of the street carts and enjoy this local attraction. Two hours outside of Yogyakarta, Borobudur might not be in the city, but it is one of the main reasons tourists visit Yogyakarta – as a jumping off point to visit this temple. Dating from the 8th century and a UNESCO World Heritage Site, Borobudur is the largest Buddhist structure in the world. 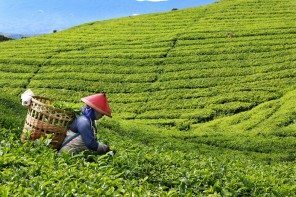 A truly great ancient monument, it is not to be missed during a visit to Yogyakarta. 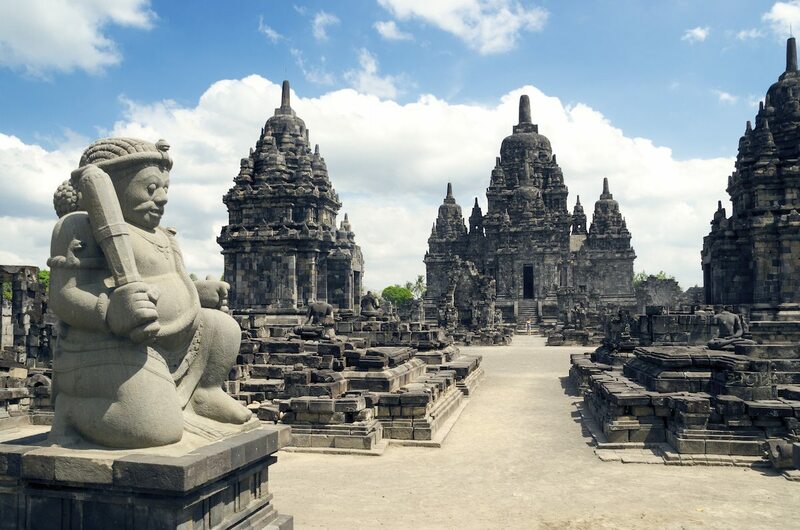 Yogyakarta is lucky enough to have 2 incredible temples only a short drive away. Prambanan like Borobudur is also a UNESCO World Heritage Site and an ancient temple, but this one is a collection of Hindu temples. 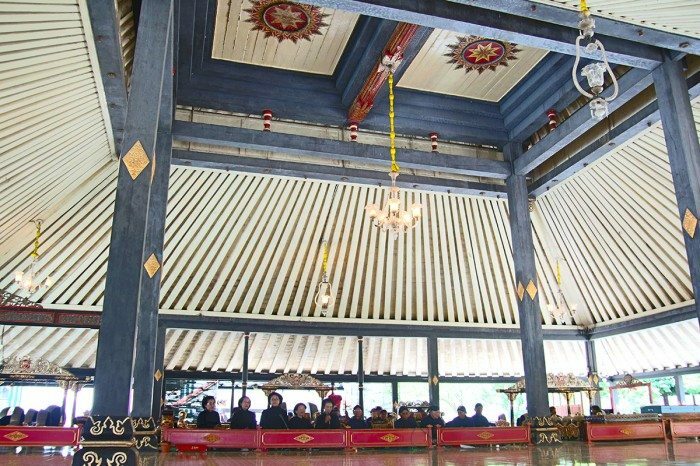 Built by the Mataram Kingdom, rulers of central Java and defeaters of the Sailendra Dynasty, the first temple on the site dates to around 850 CE. Before planning a visit, check schedules for the famous Ramayana ballet at Prambanan where the spectacular dance is performed with Prambanan as the backdrop, and time your visit around it. 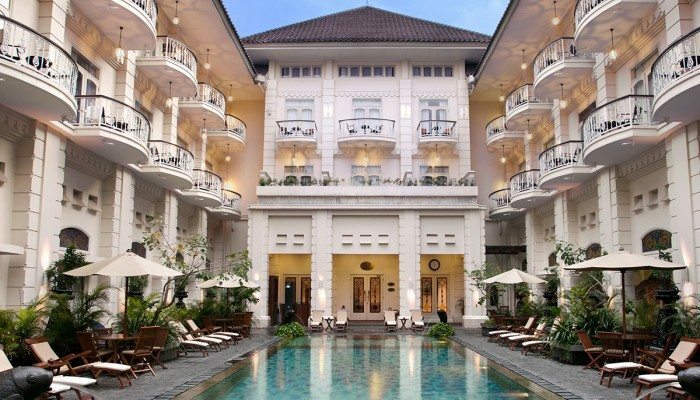 The Phoenix Hotel is a colonial styled boutique hotel with 144 rooms that include exclusive suites. Adding on to the original 1918 building, the hotel includes a spa, restaurant, lounge, bar and swimming pool. The heritage part of the building dates back to 1918 when it was built as a private residence. Over the years it was transformed into a hotel then changing hands many times as Indonesia went through Japanese occupation then independence. In 1996 it was bestowed with a Heritage Award for maintaining the old architectural building. 2003 is when the extension of the hotel was added and taken over by Accor. Ask the front desk about attending one of the hotel’s in-house tours.